Risk-free, accountable and profitable – affiliate marketing gets results, regardless of the economic climate. Our new Affiliate Marketing guide is overflowing with advice and tips for setting up and running a successful affiliate programme. Coast Digital’s affiliate marketing specialists have packed in everything you need to know in order to maximise your ROI. Build up a diverse network of affiliates including loyalty, cashback, content, email, social media and more. Set the right commission rate for the maximum ROI. Follow the 10 steps to affiliate success. This guide was written to help businesses and organisations understand the fundamentals of affiliate marketing, and to incorporate it into their longer term strategies. It contains essential advice to get your affiliate programme off the ground, and ensure it produces a great return on investment. Imagine having an army of supporters, all willing to promote your products or services from their own patch of Internet real estate. Now imagine making this happen at no financial risk to you. In a nutshell, that’s exactly what affiliate marketing can deliver. If you offer the right commission, you can build a network of independent websites, blogs, discussion boards, email newsletters, website syndication feeds and shopping directories that are willing to drive customers to your own site. This guide is designed to reveal the secrets behind successful affiliate marketing, help you to decide whether your business can benefit, and point you in the direction of expert help. An affiliate (a web site owner or publisher), displays an advertisement (such as a banner or link) on its site for a merchant (the brand or advertiser). If a consumer visiting the affiliate’s site clicks on this advertisement and goes onto perform a specified action (usually a purchase) on an advertiser’s site then the affiliate receives a commission. It’s easier for people to find you, often in unexpected ways. And whilst some of your network members may only achieve a handful of sales on your behalf, even small increments can soon add up to significant sales growth. 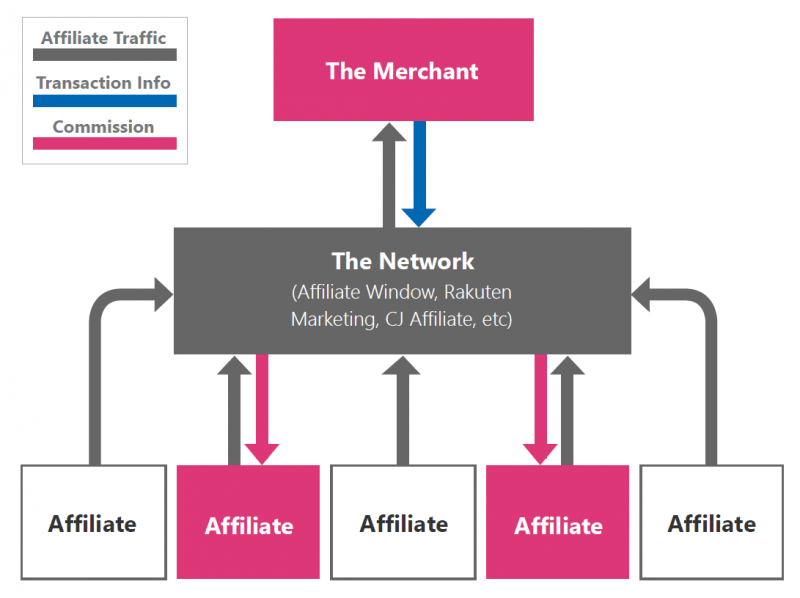 From the diagram below, it’s clear that one of the key elements to success is the affiliate network itself. The better suited to your needs the network is, the more sales you achieve and the more commission the affiliates are likely to earn. The returns are potentially impressive, but it’s important to decide whether affiliate marketing is for you. The affiliate channel is best suited to e-retailers, selling products and services online. You need to be clear about what you want to achieve and establish a clear strategy, metrics and KPI’s at the outset. If you decide to go ahead, you won’t experience overnight success – affliiate marketing is a longer term strategy. But if you get it right, it will deliver incremental sales. At its most basic, affiliate marketing is relatively simple, but to do it well involves making a complex series of interconnected decisions. And because you set the commission rates you’re always in control of the return. Creative design of banners, widgets etc – the costs and frequency will depend on your requirements. A network charge – a regular monthly cost. An agency fee – usually a monthly cost. This comes into play if you decide to use an agency like Coast Digital to manage your affiliate marketing and maximise your ROI. Think about your product, which business sector do you fall within? Big networks often have a vertical market they are strong in. For example, TradeDoubler excels in retail, OMG in finance. Ask the affiliate networks to profile their existing clients and ask them what experience they’ve had with products similar to yours. If you’re still not sure about how to proceed, then consider speaking to an online marketing agency like Coast Digital, which will have experience of working with the vast majority affiliates networks. Setting commission rates at the right level is essential to ensure the cost effectiveness of your whole programme. These tips should help you to get them right. Enter at the right point. Remember, it’s far better to raise commission rates, than to lower them. Make sure your rate is appealing enough; affiliates will always be thinking about what’s in it for them. Remember commission isn’t permanently fixed; you have control and can always change rates (it’s considered good practice to offer 30 days notice). Different affiliates can be worth more to your programme, so consider paying more commission to your more valuable affiliates. PPC affiliates – run campaigns using Google Adwords to drive visitors to landing pages that promote your products/services. Content affiliates – special interest websites that use reviews, blogs and editorials to promote your products. Discount/voucher code affiliates – these will promote discounts on your products. Incentive/cashback affiliates – a method of passing the commission back to the consumer using either cash or other incentive schemes. Email affiliates – will send information on your product offering to their huge databases of email recipients. It’s essential to set terms and conditions to govern your programme. When an affiliate signs up the first thing they’ll do is agree to abide by your programme’s terms. A good policy protects your rights and provides affiliates with a framework within which they can work with your product or brand. Once your policy is in place it pays to keep an eye on the market. Some networks provide tools that help you police your policies. It’s prudent to use them. If you’re not already doing PPC advertising and your brand isn’t well known, consider letting affiliates take a lead in this area. PPC affiliates are experts in PPC and can work to very tight margins. However, if you’re also running your own PPC campaigns, you have to be particularly careful about your affiliate policy. For example, if you plan to bid on your own brand terms, it may well cost more to let affiliates do so as well. (In most cases, using your own brand terms in a PPC campaign will always cost the least, but provide the best conversion rates). Be aware of your current search campaign results, and make sure that having a PPC affiliate on board doesn’t adversely affect CPC (cost per click) or CPA (cost per acquisition). If it does, it’s time to review your policy. Your policy is your protection but you need to keep an eye on the market and what ads are appearing alongside your own. Consider what you don’t want your brand associated with. This could include discount sites, incentive sites, adult sites, gambling etc. Do you want them on your programme? If not, make it very clear. Set rules for email. Some affiliates may come up with their own creative designs for email campaigns. Make sure you approve these if you don’t want your brand image to be compromised. Make sure your policy is watertight! Don’t leave any loopholes as you may find they get exploited. Remember: if you change your policy, you should give 30 days notice, which may give the unscrupulous room for manoeuvre. A good policy protects your rights and provides affiliates with a framework within which they can work with your product or brand. What are you promoting? A brand? A specific product? Is it seasonal? Are you launching a sale or a new range? In each case, the most appropriate approach could be very different. Affiliates need to be given a creative they will be proud to use when advertising your site. Your affiliate network will have restraints in place on file size and a set of guidelines for banner sizes. Make sure you offer ALL the sizes suggested, and if you have the resources, make two or more sets in different styles. If you use banners, always make sure they stand out and that your message is clear. A product feed is a live data stream that keeps your network and affiliates updated about all of your products, including prices and images etc (feeds are usually in CSV or XML format). If affiliates have access to a feed, they can easily incorporate up-to-date information about your products to their websites. It goes without saing that you need to make sure feeds are completely accurate and up-to-date. Forget this at your peril! Think about whether your product selection requires a feed. Does your product information and pricing change frequently? If the answer is yes, you should definitely be using one. That way, if you change anything about a product on your website, the feed will automatically update all of your affiliates. Treat your affiliates like they’re a virtual sales force and feed them anything you’d give to your sales team. Ask yourself what you need to communicate. The more an affiliate knows about you and your customers, the better they can promote your products. Talk about your brand, sales, incentives, press releases and email creatives. If you give affiliates detailed information about your customer base – who buys, how often they buy, why they buy, – they can hone their marketing to improve targeting and increase sales. Log on to PerformanceIN at www.performancein.com, the premier communication point for anyone interested in affiliate marketing. Get a feel for the vertical and networks forums on on the site – you need to be in both. Remember to be friendly and informal. Affiliates are on the forum because they want the latest information, so be prepared to answer questions as well as start threads yourself. PerformanceIN (formally affiliates4u) was founded in 1999 and is the biggest gathering of affiliates and merchants on the web. Most (if not all) your affiliates will be registered members. Discount code affiliates make your programme look good. They generate considerable revenue for many merchants and, as consumers become more web savvy, searches for discount codes have gone through the roof. However, the main problem with discount code affiliates is the potential for cannibalising sales. This certainly is a hot topic in the industry at the moment. Despite this drawback there are ways of making discount code affiliates cost effective. Firstly you need to remember that discount code affiliates do have an impact on the decision to buy. If the discount they provide makes you even a little bit cheaper, then the sales will come to you instead of the competition. You can make these affiliates more productive by tightening up your programme’s terms and conditions. If you know that half of your sales from discount code affiliates are cannibalised from other channels, then do something about it. Reduce commission rates, or reduce the discount that the codes are giving on your products. Don’t just pretend there isn’t a problem, or you’ll lose out in the long run. I open a new tab, head back to Google and search for a code. As I’m looking for a code, I pick up a browser cookie from a discount code affiliate, who can now take credit for that sale. You’ll now pay commission to the discount code affiliate, even though the sale was all but complete. This will not be adding any value to your programme. Affiliates have the chance to promote thousands of programmes, so why should they choose yours? Ultimately affiliates want to earn money. The easier it is to get rewarded by your programme, the quicker it will take off. Consider the following ideas to keep your affiliates happy and motivated. Incentives are a great way to not only increase sales, but help persuade other affiliates to start working with you as well. Get your thinking cap on and be creative. Keep affiliates motivated by planning competitions. Cash prizes work well, but don’t underestimate the power of consumer electronics for cheap and desirable prizes. Avoid rewards based on “most sales from an affiliate” as this will almost certainly be the same affiliate every month. One of the main problems with affiliate programmes is that incentives are often only targeted at big players. As these generate the most sales, this is understandable. But if you ignore smaller affiliates you severely limit your sales growth potential. Your incentives must be cost effective. Don’t give away too much and be realistic. It’s all got to add up. Talk about your incentives. Promote them on PerformanceIN, send emails or even add a news item to the network, so all affiliates can see. Keep an eye on your affiliates. If they stop referring traffic, find out why. Give them what they need to get motivated again. PR and good quality editorial persuade consumers that your products are the ones they should buy. Help affiliates by providing content wherever possible. This has a dual benefit – it makes it easy for affiliates to talk about your products, while allowing you to retain full brand control. Use offline and online PR. Share everything. Upload press releases and editorial to the network, send emails to your affiliates and make a post about it on the A4U forum. Supply email creative if you have any. Your affiliates may use your content and creative to contact their own database of contacts, enabling you to reach a much wider audience. It’s essential that you check transactions carefully to make sure they’re not fraudulent, or based on a refunded order. 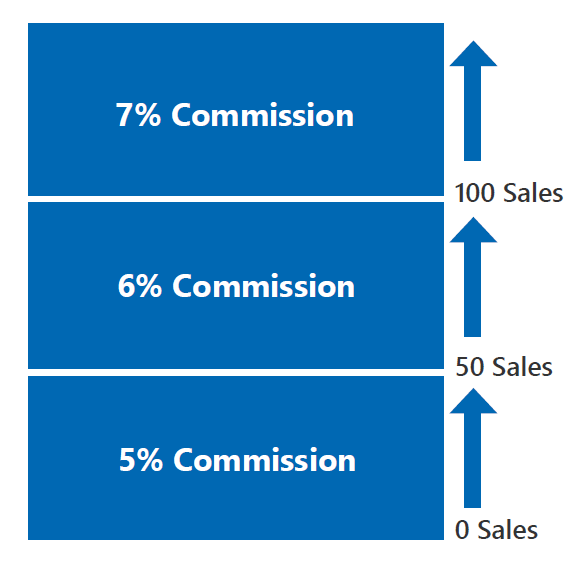 You don’t want to pay commission on sales that you haven’t actually made, i.e. refunds or returns. It’s worth considering that if you’re selling items like shoes and clothes, these products will attract a high rate of return, and are a good example of why you need to keep a close eye on the sales validation process. Operating a speedy turnaround on validations benefits all of your affiliate activity. If you’re working with PPC affiliates try to keep the validation process as swift as possible because these affiliates are providing the initial outlay in terms of spend on AdWords, and need to know that the campaign is returning a profit for them. This guide contains plenty of ideas to help any business with their affiliate marketing strategy. But perhaps you’d like some more help? In our experience exceptional results require dedicated, expert teams. To stay on top of the market and ensure profitable, lasting results, we recommend you talk to an agency. We enjoy excellent relationships with the affiliate networks. You can rely on us to deliver the most competitive deals. We have years of experience in managing affiliate campaigns across a wide variety of products. Our team have even been affiliates themselves and will bring a unique perspective to your campaigns. We’re an award-winning, full service online marketing agency. Drawing on our experience enables clients to use our insights for even greater commercial advantage and ROI. We offer impartial and unclouded judgements. Our team is honest, commercially-minded and results-oriented.